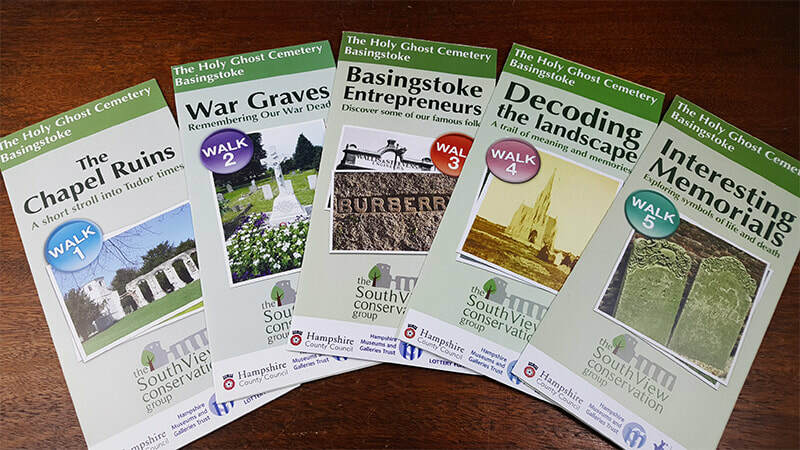 Holy Ghost Cemetery was born out of the Pope banning religious services in England for six years. 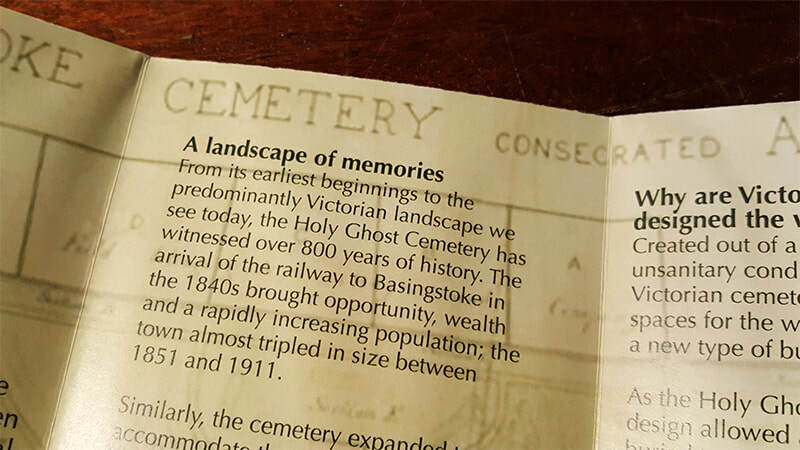 With Basingstoke churchyard out of use, the townsfolk were forced to bury their dead in unconsecrated ground 'on the hill'. 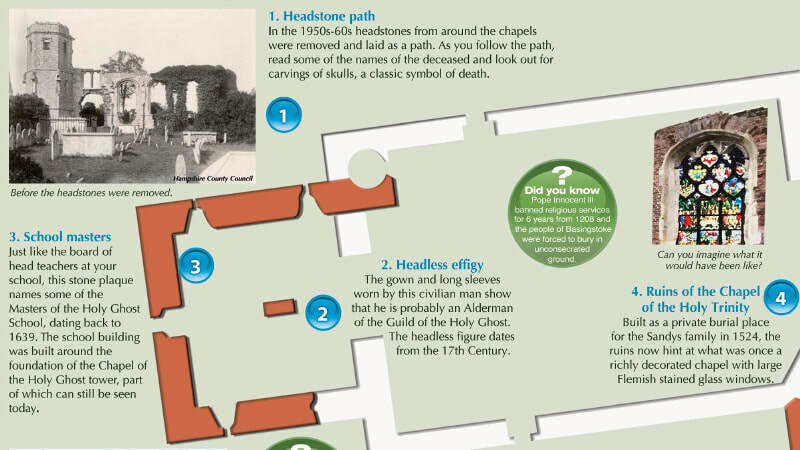 When the Pope lifted the ban in 1214, the makeshift burial ground was consecrated and a chapel built. 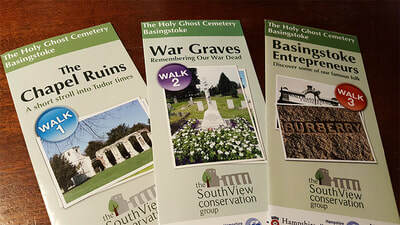 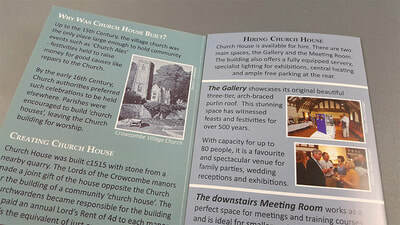 We produced five themed walking trail leaflets for the South View Conservation Group. 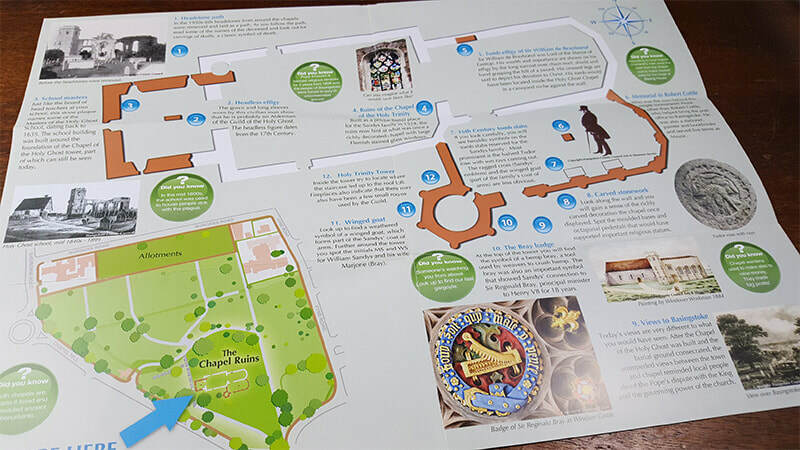 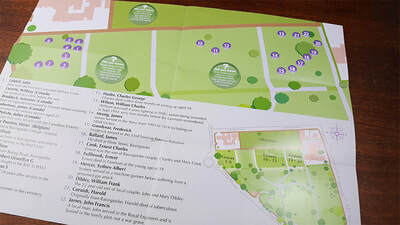 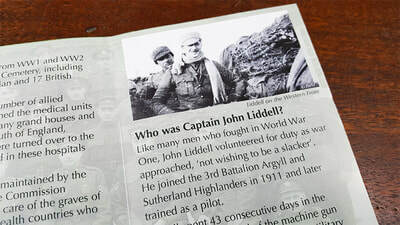 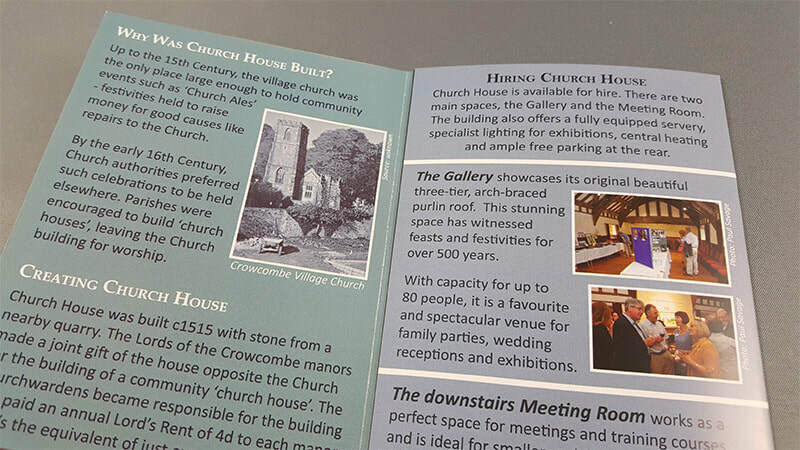 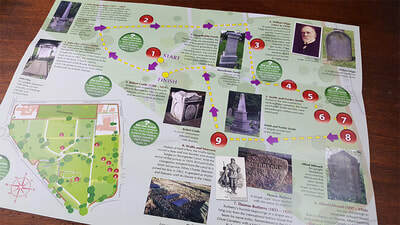 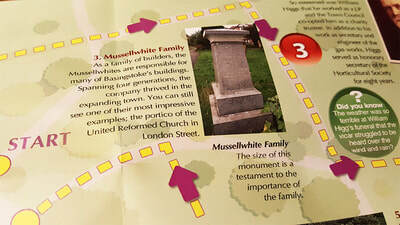 Each leaflet folds out to A3 size to reveal a walking map and detailed information about features along each walk. 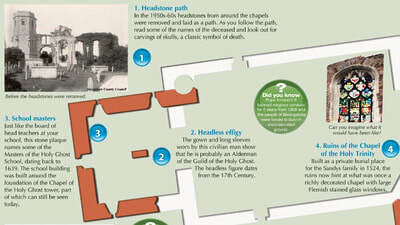 The Chapel Ruins - brings to life the Tudor ruins and the story of Mrs Blunden who was buried alive twice! 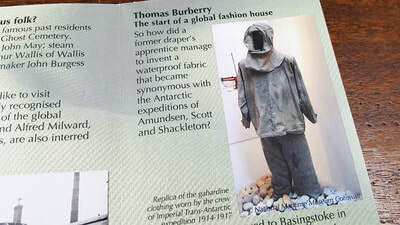 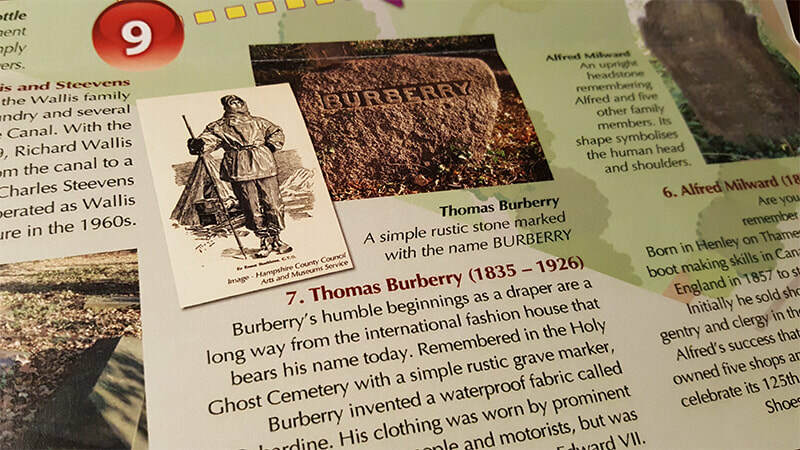 Basingstoke Entrepreneurs - stories of famous local residents, including clothing manufacturer, Burberry. Decoding the Landscape - looks at the design of the cemetery, historical features and the symbolism of key plants. 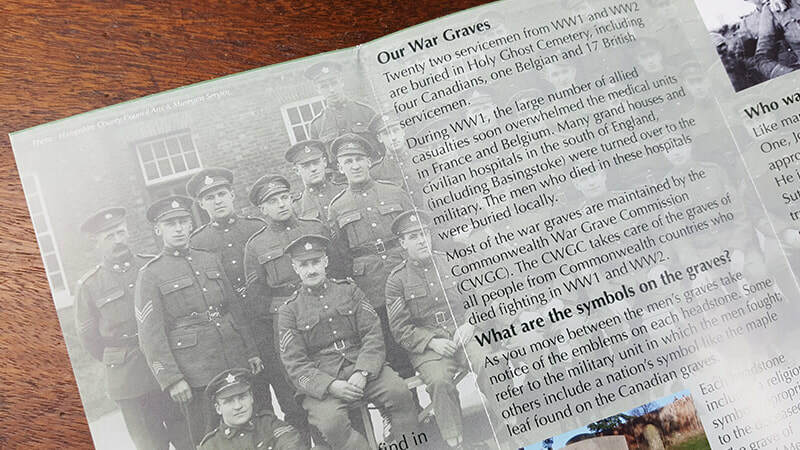 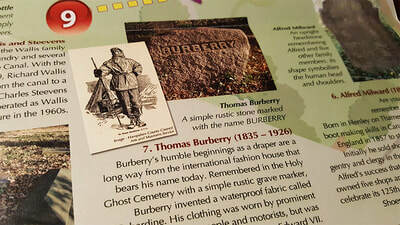 Interesting Memorials - introduces grave symbolism and how to read a grave to reveal its social history. I found them absolutely fascinating and what a great idea!